The MTech USA MT-097GN is a fiercely tactical fixed blade knife. 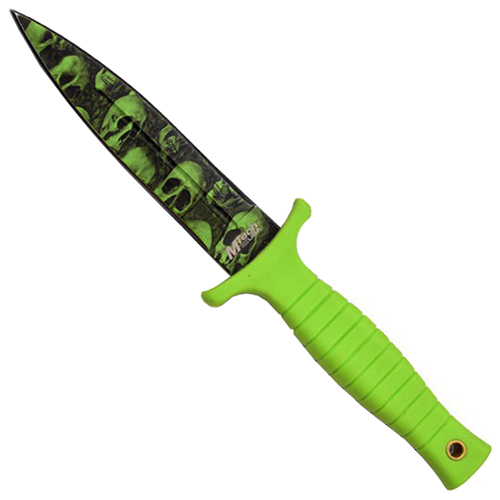 This double edge dagger features a unique green skull blade pattern, along with a blood groove and textured rubber handle. The included nylon sheath fits the blade securely. Measures 228.6 mm (9 inches) in overall length.